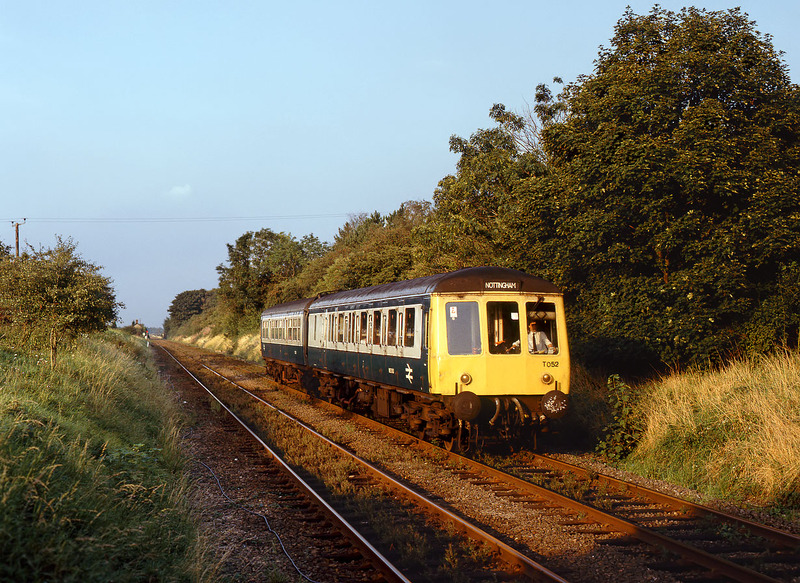 Tyseley's Class 116/101 hybrid set T052 (53060 & 53321) slows down for its booked stop at Rauceby on 18 August 1992, in the very last of the evening light, as it works the 17:45 Skegness to Nottingham service. It looks like a pigeon has come to a sticky end (literally!) on 53060's buffer.